The Chinese Communist Party’s foreign policy reflects its strategic objectives. The U.S. National Security Strategy states that China seeks to displace the United States in the Indo-Pacific region, expand the reaches of its state-driven economic model, and reorder the region in its favor as the preeminent power. China’s most substantial expansion of its military access in recent years has occurred in its near-abroad, where territorial disputes in the East and South China Seas persist, but China has also expanded its military operations further from the Chinese mainland. China seeks this presence based on its changing military focus and expanding international economic interests, which are increasing demands for the PLA to operate in more distant maritime environments to protect Chinese citizens, investments, and critical sea lines of communication. China in 2018 indicated interest in establishing bases in Cambodia and Vanuatu. Although both governments have publicly stated they are not willing to host a Chinese military base, Phnom Penh in the last two years has agreed to receive new military aid from Beijing and participate in bilateral exercises with the PLA. In 2017, China’s leaders said OBOR, which at first included economic initiatives in Asia, South Asia, Africa, and Europe, now encompasses all regions of the world, including the Arctic and Latin America, demonstrating the scope and reach of Beijing’s ambition. While some OBOR projects appear to be motivated by economic considerations, OBOR also serves a greater strategic purpose. China intends to use OBOR to develop strong economic ties with other countries, shape their interests to align with China’s, and deter confrontation or criticism of China’s approach to or stance on sensitive issues. President Xi has promoted the “21st Century Digital Silk Road” alongside OBOR. Chinese state-owned or state-affiliated enterprises, including China Telecom, China Unicom, China Mobile, Huawei, and ZTE, have invested or submitted bids globally in areas such as 5G mobile technology, fiber optic links, undersea cables, remote sensing infrastructure connected to China’s Beidou satellite navigation system, and other information and communications technology infrastructure. While providing benefits to host countries, these projects will also facilitate China’s efforts to expand science and technology cooperation, promote its unique national technical standards, further its objectives for technology transfer, and potentially enable politically-motivated censorship. Data legally acquired via some of these projects may also contribute to China’s own technological development in areas such as artificial intelligence. China is also pursuing global leadership in strategic industries through state-backed investment, as outlined in its Five-Year Plans, “Made in China 2025” industrial strategy, and other national documents. China seeks to be the world leader in artificial intelligence by 2030, for example. Many of the key technologies China is targeting are integral to the rapid technological change occurring in multiple industries. These capabilities are key not only to economic growth, but to the United States’ ability to maintain its military advantage. The report identifies a wide range of efforts China has undertaken to achieve its national technology goals. The Department has not viewed every one of these activities as a problem, and U.S. policy supports principles under which countries determine their own economic interests and needs. However, the Department is concerned by actions China’s government has taken that are out of step with international norms, diminish countries’ sovereignty, or undermine the security of the United States, our allies, or our partners. China’s expanding global activities in some of the areas listed above present military force posture, access, training, and logistics implications for the United States and China. The PLA’s first overseas military base in Djibouti and probable follow-on bases will increase China’s ability to deter use of conventional military force, sustain operations abroad, and hold strategic economic corridors at risk. The PLA’s expanding global capabilities provide military options to observe or complicate adversary activities in the event of a conflict. 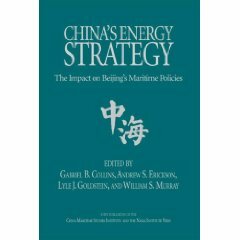 Some OBOR investments could create potential military advantages for China, should it require access to selected foreign ports to pre-position the necessary logistics support to sustain naval deployments to protect its growing interests in waters as distant as the Indian Ocean, Mediterranean Sea, and Atlantic Ocean. China’s wider global activities could also be leveraged to exert political influence. While many of China’s generous investment financing offers benefit their host nations, they often come with strings attached. The report provides 17 examples of cases in which Chinese investment and project financing that bypasses regular market mechanisms has resulted in negative economic effects for the host country; in which economic deals have carried costs to host country sovereignty; or in which China has employed economic incentives or economic coercion to achieve specific political objectives. China’s attempts to gain veto authority over other countries’ decisions, and its coercion directed at U.S. allies and partners in particular, will likely threaten U.S. posture and access if not addressed. The Department has responded to these implications in line with the U.S. National Defense Strategy (NDS) and in support of whole-of-government action. The NDS identifies long-term strategic competitions with China and Russia as the principal priorities for the Department. The Department is implementing four strategic ways: building a more lethal force to gain military advantage, strengthening allies and partners to generate robust networks that can advance shared interests, reforming the Department to realize greater performance and affordability, and expanding the competitive space to create U.S. advantages and impose dilemmas on competitors. Importantly, competition does not mean conflict is inevitable, or preclude cooperation with China on areas of mutual interest. The NDS sets the U.S. military relationship with China on a path of transparency and non-aggression. DoD also supports a whole-of-government response as China’s expanding global activities are not primarily or exclusively a military issue. The report lists several select interagency initiatives DoD has supported including 1) aligning the NDS with the U.S. National Security Strategy, which identifies growing competition with China as a long-term challenge and prompts a whole-of-government focus; 2) the U.S. Strategic Framework for the Indo-Pacific, which emphasizes a vision for a “free and open Indo- Pacific” that provides security, stability, and prosperity for all; 3) continuing to fly, sail, and operate wherever international law allows; 4) confronting China over its market-distorting policies and practices, forced technology transfers, failure to respect intellectual property, and cyber intrusions into U.S. commercial networks; and 5) working with the executive branch and Congress to maintain U.S. competitiveness and protect the U.S. national security innovation base. … China’s military emphasis has also shifted outward. The PLAN’s evolving focus – from “offshore waters defense” to a mix of “offshore waters defense” and “open seas protection” – reflects the PLA leadership’s expanding interest in a wider operational reach. China’s military strategy and ongoing PLA reforms reflect the abandonment of its historically land-centric mentality. Similarly, doctrinal references to “forward edge defense” that would move potential conflicts far from China’s territory suggest PLA strategists envision an increasingly global role, which they are actively implementing. China officially opened its first military base in Djibouti in August 2017 and will likely seek to establish rotational presence, dual-use access, or additional military logistics facilities in countries in which it has interests at play, those that offer critical accesses, and those with which it has friendly relationships. China’s pursuit of expanded global military access is thus driven both by new PLA missions to protect overseas interests and by a shifting approach to potential contingencies along its maritime periphery. Based on China’s doctrine and current behavior, the United States should anticipate Beijing’s continued efforts to enhance its military access overseas. China’s Spratly Islands outpost expansion is currently focused on building out the land-based capabilities of its three largest outposts – Fiery Cross, Subi, and Mischief Reefs – after completion of its four smaller outposts early in 2016. China has not undertaken substantial land reclamation at any of the Spratly Islands outposts it occupies since adding over 3,200 acres of land to the seven features in late 2015. Major construction at the largest outposts include new airfields – all with runways at least 8,800 feet in length – large port facilities, and water and fuel storage. As of late 2016, China was constructing 24 fighter-sized hangars, fixed-weapons positions, barracks, administration buildings, and communication facilities at each of the three outposts. China has since completed key operations and support infrastructure at each of these outposts, enabling the deployment of combat aircraft. China now has the capacity to house up to three fighter units in the Spratly Islands. China has also completed shore-based infrastructure on its four smaller outposts in the Spratly Islands: Johnson, Gaven, Hughes, and Cuarteron Reefs. Since early 2016, China has installed fixed, land-based naval guns, fixed and mobile anti-aircraft missile batteries, and improved communications infrastructure on each outpost. Global. China has also expanded its military operations further from the Chinese mainland. China’s approach includes PLA visits and in some cases, requests for military access, logistics, or basing agreements, typically in countries where China has provided economic investment in civilian ports, and especially in strategic locations such as key maritime “chokepoints.” In Greece and Sri Lanka, for example, Chinese investment in civilian ports has been followed by deployments or visits of the PLA. In some cases, the PLA is seeking a greater presence for contingency use or a permanent presence. 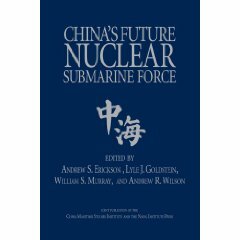 China seeks this presence based on its changing military focus and expanding international economic interests, which are increasing demands for the PLA to operate in more distant maritime environments to protect Chinese citizens, investments, and critical sea lines of communication (SLOCs). These demands require logistics and intelligence support, including in the Indian Ocean and more distant areas. China is expanding its access to foreign ports to pre-position the necessary logistics support to regularize and sustain deployments in the “far seas.” A robust overseas logistics and basing infrastructure will allow China to project and sustain military power at greater distances. 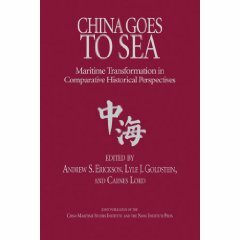 China’s leaders may judge that a mixture of military logistics models, including preferred access to overseas commercial ports and a limited number of exclusive PLA logistic facilities – probably collocated with commercial ports – most closely aligns with China’s overseas military logistics needs. The PLAN ultimately seeks to be able to operate across the greater Indo-Pacific region in high-intensity actions over a period of several months, in pursuit of the missions discussed under “Strategic Intent” above. In August 2017, China officially opened its first overseas military base at Doraleh, Djibouti, which started with an expansion at Doraleh port in 2013. China claims its Djibouti base supports PLA counterpiracy, Humanitarian Assistance/Disaster Relief (HA/DR), and Peace Keeping Operations (PKO). The base includes barracks, an underground facility, a tarmac and eight hangars for helicopter and unmanned aerial vehicle (UAV) operations. A PLA Navy Marine Corps mechanized infantry company with at least eight infantry fighting vehicles arrived in July 2017. The unit is capable of supporting future noncombatant evacuation operations, search and seizure in the Gulf of Aden, hostage rescue, and small-scale combat actions. In July 2018, China began constructing a 450-meter pier, which could be capable of berthing at least four ships as early as mid-2019. This base, along with regular naval vessel visits to foreign ports, extend the reach of China’s armed forces, reflecting China’s growing influence. China may seek to establish additional military bases in countries with which it has a longstanding friendly relationship and similar strategic interests, such as Pakistan, and in which there is a precedent for hosting foreign militaries. However, China’s overseas military basing will be constrained by the willingness of countries to support a PLA presence. In 2018, China indicated interest in establishing bases in Cambodia and Vanuatu. Although both governments have publicly stated they are not willing to host a Chinese military base, Phnom Penh has agreed to receive new military aid from Beijing and participate in bilateral exercises with the PLA in the last two years. Submarines are becoming a more prominent Chinese export to countries along China’s periphery. In 2015, China signed an agreement to sell Pakistan eight YUAN-class submarines; the first four submarines will be built in China and the remaining four in Pakistan. China delivered two MING-class diesel attack submarines to Bangladesh in late-2016 and continues to market a variety of submarine options at international trade shows. In May 2017, China finalized a $390 million contract with Thailand for one Chinese-built S26T diesel-electric submarine to be delivered in 2023. China has sold armed UAVs to several Middle East and North African states, including Iraq, Saudi Arabia, Egypt, and the United Arab Emirates. China faces little competition for sale of such systems, as most countries that produce armed UAVs are restricted from selling the technology as signatories of the Missile Technology Control Regime and/or the Wassenaar Arrangement on Export Controls for Conventional Arms and Dual-Use Goods and Technologies. In March 2018, state-owned China Shipbuilding Industry Corporation (CSIC) signed an MOU with the Royal Thai Armed Forces to collaborate on unspecified military equipment and technologies. CSIC claimed the deal contributed to Xi Jinping’s “going out” strategy to expand China’s defense industry presence in key foreign markets. In June 2018, China finalized contracts with Pakistan and Bangladesh for conventional arms. The Pakistan contract is for delivery of two Type 054A multi-role frigates valued at $500 million, which Pakistan anticipates receiving before 2021. The Bangladesh contract is reportedly valued at more than $200 million for the sale of an additional 23 K-8W intermediate jet trainers. Bangladesh currently operates K-8W aircraft it bought from China in 2014.
port, which the PRC leased for 99 years and a Chinese state-owned enterprise owns and operates. The PLA is also constructing facilities at the Sri Lankan military academy. The PLAN conducted numerous port calls from 2008-2017, as shown in the graphic on page 7. In 2017, a trio of PLAN ships conducted the PLAN’s longest-ever goodwill deployment, visiting 20 countries in Asia, Europe, Africa, and Oceania. The PLAN’s hospital ship “Peace Ark” conducted the goodwill cruise HARMONIOUS MISSION in mid to late 2018, with stops in Papua New Guinea, Vanuatu, Fiji, Tonga, Venezuela, Grenada, Dominica, Antigua and Barbuda, Dominican Republic, Ecuador, and Chile, along with a Panama Canal Transit. PLA exercises with foreign countries from 2008-2017 are shown in the graphic on pages 9-11 (note: 2018 PLA exercises will be addressed in the next China Military Power Report). China’s OBOR initiative, publicly released in 2013, aims to expand economic and commercial ties to China by developing transportation infrastructure, natural gas pipelines, hydropower projects, technology and industrial parks. China views OBOR as a way to enhance its trade connectivity, reduce surplus domestic industrial capacity, develop poorer interior provinces, promote energy security, and internationalize Chinese industrial and financial standards, to include the yuan. While some OBOR projects appear to be motivated by economic considerations, OBOR also serves a greater strategic purpose. China intends to use OBOR to develop strong economic ties with other countries, shape their interests to align with China’s, and deter confrontation or criticism of China’s approach to or stance on sensitive issues. Countries participating in OBOR can develop economic dependencies from over-reliance on Chinese capital and labor. Some OBOR investments could create potential military advantages for China, should it require access to selected foreign ports to preposition the necessary logistics support to sustain naval deployments to protect its growing interests in waters as distant as the Indian Ocean, Mediterranean Sea, and Atlantic Ocean. China’s expanding global access has provided new opportunities to develop and acquire military and dual-use technologies, through both legitimate and unlawful means. Military. 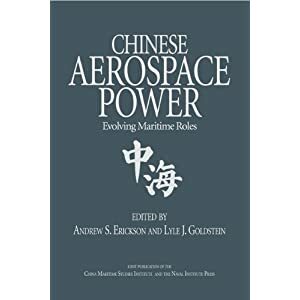 China continues to supplement indigenous military modernization efforts through the acquisition of targeted foreign technologies and the know-how pertaining to their development, including engines for aircraft, tanks, and naval vessels; solid-state electronics and microprocessors, and guidance and control systems; enabling technologies such as cutting-edge precision machine tools; advanced diagnostic and forensic equipment; and computer-assisted design, manufacturing, and engineering. China often pursues these foreign technologies for the purpose of reverse engineering. China seeks some high-tech components and major end-items from abroad that it has difficulty producing domestically – particularly from Russia and Ukraine. China has purchased advanced Russian defense equipment such as the SA-X-21b (S-400) surface-to-air missile system and Su-35 fighter aircraft, and is pursuing a Sino-Russian joint-design and production program for a heavy-lift helicopter and diesel-electric submarines. China is partnering with Russia to purchase electronic components as well as creating joint production facilities located within Russia. In addition, China has signed significant purchase contracts with Ukraine in recent years, including contracts for assault hovercraft and aircraft engines. Dual-Use. China is pursuing global leadership in strategic industries through state-backed investment, as outlined in its Five-Year Plans, “Made in China 2025” industrial strategy, and other national documents. China seeks to be the world leader in artificial intelligence by 2030, for example. China is also actively pursuing an intensive campaign to obtain critical, dual-use technologies through imports, foreign direct investment, industrial and cyberespionage, and establishment of foreign research and development (R&D) centers. China additionally employs joint venture and licensing requirements that pressure companies into transferring technology, while Chinese companies do not face the same barriers abroad. In an effort to gain sensitive knowledge, Beijing is increasingly looking to recruit and relocate talent to China. These efforts are illustrated in the graphic on page 16. In 2016, China adopted the 13th Five Year Plan (2016-2020), which, among other provisions, sets focus areas for research, development, and innovation. Several of these have defense implications, including aerospace engines – including turbofan technology – and gas turbines; quantum communications and computing; innovative electronics and software; automation and robotics; special materials and applications; nanotechnology; neuroscience, neural research, and artificial intelligence; and deep space exploration and on-orbit servicing and maintenance systems. Other areas where China is concentrating significant R&D resources include nuclear fusion, hypersonic technology, and the deployment and “hardening” of an expanding constellation of multi-purpose satellites. China’s drive to expand civil-military integration and international economic activity supports these goals. Many of the key technologies China is targeting are integral to the rapid technological change occurring in multiple industries. These capabilities are key not only to economic growth, but to the United States’ ability to maintain its military advantage. Advantage in this competition will go to those who not only create the best technologies, but also best protect and field them in creative operational ways that provide significant military advantages. If not hardened against Chinese legal and illegal pursuits, these actions could erode the U.S. National Security Innovation Base. China’s expanding global activities in some of the areas listed above present military force posture, access, training, and logistics implications for the United States and China. More broadly, they provide opportunities for political influence. Expanded Power Projection Capabilities. China’s efforts to enhance its presence abroad could enable the PLA to project power at greater distances from the Chinese mainland. The establishment in Djibouti of the PLA’s first overseas military base – which hosts a deployed company of Marines and equipment – and probable follow-on bases at other locations signal a turning point in the expansion of PLA operations in the Indian Ocean region and beyond. These bases, and other improvements to the PLA’s ability to project power during the next decade, will increase China’s ability to deter the use of conventional military force, sustain operations abroad, and hold strategic economic corridors at risk. Growing PLA mission areas and enhanced presence abroad may also lead to an increase in the demand for the PLA to protect China’s overseas interests and provide support to Chinese personnel. China’s increased presence also introduces the possibility that the PLA could play a more prominent role in delivering global public goods in the future. China has unresolved land border and maritime boundary disputes – including the ongoing territorial and maritime disputes in the East China Sea, South China Sea, and along the China-India border. Some of these disputes involve U.S. allies with whom there exist long-standing cooperation and security treaty commitments or strategic partners with whom there is a rapidly growing security relationship. China continues to exercise low-intensity coercion to advance its claims in the East and South China Seas. delaying, or denying any third-party intervention on Taiwan’s behalf. Taiwan’s national defense report released in 2017 cited concerns that increased PLA military activity near Taiwan pose an “enormous threat to security in the Taiwan Strait,” and that Taiwan requires a “multiple deterrence strategy,” to include an emphasis on developing asymmetric warfare capabilities to counter PLA advances. The PLA’s expanding global capabilities to secure Beijing’s overseas interests provide military options to observe or complicate adversary activities in the event of a conflict. China’s wider global activities could also be leveraged to exert political influence. Evolving Force Structure. The PLA’s force structure is evolving in line with these missions. China’s modern naval platforms will strengthen the force’s core warfighting competencies and enable credible combat operations beyond the reaches of land-based defenses. The expansion of naval operations beyond China’s immediate vicinity will provide China with a diverse set of capabilities for striking targets across the Pacific and Indian Ocean regions as well as exercising control of SLOCs. Improving blue water capabilities will extend China’s maritime security buffer to protect China’s near- and far-seas interests more effectively. China’s current aircraft carrier and planned follow-on carriers will extend air defense umbrellas beyond the range of coastal systems and help enable task group operations in far seas. Sea-based land attack probably is an emerging requirement for the PLAN. Chinese military experts argue that to pursue a defensive strategy in far seas, the PLAN must improve its ability to control land from the sea through development of a long-range land-attack cruise missile. The PLA’s land-based missile and air forces enable other military assets to focus on conducting offensive missions, such as blockades and sovereignty enforcement, as well as defensive operations farther from China’s shores. China also focuses on enhancing the PLA’s intelligence, surveillance, and reconnaissance capabilities, which will enable improved targeting and timely responses to perceived threats. Improved Training. The PLAN’s ability to perform missions beyond the first island chain is modest but growing as it gains more experience operating in distant waters and acquires larger and more advanced platforms. China’s experience in extended range operations primarily comes from extended task group deployments and its ongoing counterpiracy mission in the Gulf of Aden. In 2017, the PLA began implementing revised Military Training Regulations and a new Outline of Military Training, focusing on realistic training for modern warfare and preparations for joint combat operations. In 2017, the PLAN continued to conduct deployments into the Western/Southern Pacific and Indian Oceans, and for the second time in 2017, the Bering Sea. A trio of PLAN ships conducted the PLAN’s longest-ever goodwill deployment, visiting 20 countries in Asia, Europe, Africa, and Oceania. Three other PLAN ships sailed to the Baltic Sea to conduct a joint exercise with the Russian Navy, part of their JOINT SEA exercise series; the two navies exercised air defense and anti-submarine operations and submarine rescue operations. China sustained its three-ship task group in the Gulf of Aden in 2017, continuing a nine-year effort to protect Chinese merchant shipping from maritime piracy. This operation is China’s first enduring naval operation beyond the Asia-Pacific region. The PLAN also continued submarine deployments to the Indian Ocean, demonstrating its increasing familiarity with operating in that region and underscoring China’s interest in protecting sea lines of communication beyond the South China Sea. Chinese intelligence-gathering ships (auxiliary general intelligence ships or AGIs) operated well beyond the first island chain in 2017; one Type 815A DONGDIAO-class AGI deployed to the Coral Sea in July to collect against a Australian-U.S. naval exercise and another DONGDIAO AGI sailed to a position off Alaska, likely to monitor a live test of the Terminal High-Altitude Air Defense (THAAD) missile defense system. Improved Logistics. Logistics and intelligence support remain key obstacles for the PLA despite ongoing naval ship construction, particularly in more distant areas from China. China’s first naval base in Djibouti may alleviate some logistics challenges for Indian Ocean operations, and China may establish additional logistics facilities over the next decade. The PLA has made great progress in logistics reform during the past two decades, enhancing the PLA’s ability to mobilize rapidly and project support along internal lines of communication for large operations (mostly disaster responses and exercises). Since 2016, the PLA has implemented structural reforms to improve command and control, procedural reforms to improve civil-military integration, and oversight mechanisms to eliminate waste and inefficiencies that stem from longstanding corrupt practices within the logistics sector. The PLA’s expanding global activity will provide opportunities to gain experience and further improve logistics capabilities. China’s wider global activities could also be leveraged to exert influence. Malaysia has suspended or canceled several OBOR projects since August 2018, noting one could have been built by a local company for half the cost. Pakistan announced a review of Chinese-financed projects associated with the $62 billion China-Pakistan Economic Corridor in September 2018. An advisor to Prime Minister Khan told reporters the previous government “gave away a lot” to China and argued for renegotiation. The government later backpedaled, claiming the statement was taken out of context. The Maldives’ finance minister stated in November 2018 that China is building infrastructure projects in the country at significantly higher prices than previously agreed. China’s announcement of $60 billion in additional aid and loans for Africa occurred despite the International Monetary Fund’s early 2018 warning that sub-Saharan African nations are at a growing risk of debt distress. In other cases, unfair economic deals may provide near-term benefits but also carry costs to host country sovereignty. In 2009, China used economic incentives, including a currency swap agreement to stabilize Argentina’s currency, to negotiate a 50-year, rent-free lease of nearly 500 acres for a satellite tracking facility in Argentina. China has also assumed control over infrastructure as a form of compensation when projects have failed. For example, China financed a roughly $2 billion deal between Sri Lanka and a Chinese state-owned enterprise to develop Hambantota Port. In 2017, following the commercial failure of the port, Sri Lanka signed a 99-year lease for the operation of the port to the Chinese state-owned enterprise. China currently has claims to nearly 90 percent of Ecuador’s oil reserves through commodities-backed loans. In his December 13, 2018 speech announcing the Administration’s new Africa Strategy, U.S. National Security Advisor Bolton noted Zambia currently owes China $6 to $10 billion, and China is poised to take over Zambia’s national power and utility company to collect on Zambia’s financial obligations. Other Forms. China has also employed economic incentives or economic coercion to achieve specific political objectives. This has affected a wide range of countries. In 2004, after China pledged $122 million in assistance to Dominica, Dominica cut official ties with Taiwan. In 2010, China stopped exports of rare earths, a critical technology input, to Japan in response to a maritime collision and subsequent detention of a Chinese fishing boat and its captain, claiming that Japan had reached an export quota. In 2010, China reduced salmon imports from Norway and suspended diplomatic relations and trade discussions, after Chinese dissident Liu Xiaobo won the 2010 Nobel Peace Prize. In 2011, after China restructured between $4 billion and $6 billion of Cuba’s debt, Havana reportedly agreed to extend an existing development credit to China to modernize the Santiago de Cuba port. In 2012, China restricted Filipino banana imports and restricted tourism to the Philippines, following clashes over the disputed Scarborough Reef. In 2016, China halted group tourism to Taiwan in response to the election of President Tsai Ing-wen, who Beijing perceives to harbor a pro-independence agenda. In 2016, after the visit of the Dalai Lama to Mongolia, China suspended talks on a major assistance loan, worsening Mongolia’s fiscal challenges and eventually driving it to seek an IMF bailout. China also increased fees on imports of mining products from Mongolia and temporarily closed an important border crossing. The Dominican Republic switched diplomatic recognition to the PRC in May 2018, and El Salvador did so in August 2018. China may use these changes to incentivize other states in the region to follow this example. The Department of Defense will continue to assess the military implications of China’s expanding global access and ensure the Department provides combat-credible military forces needed to fight a war and win, should deterrence fail. Importantly, the Department has not viewed every one of China’s expanding global activities as a problem. Many countries have genuine economic development needs, particularly for infrastructure. The Asian Development Bank has assessed that developing countries in the Indo-Pacific will need $26 trillion for infrastructure investment by 2030, for example. In addition, trade and investment often provide long-term economic benefits, including for the United States. U.S. policy does not oppose China’s investment activities as long as they respect sovereignty and rule of law, use sustainable financing, and operate in a transparent and economically sustainable manner. The principles of a “free and open Indo-Pacific” should be paramount, under which countries can determine their own economic interests and needs. The Department is concerned by actions China’s government has taken that are out of step with international norms, diminish countries’ sovereignty, or undermine the security of the United States or that of our allies and partners. The Department has responded in line with the U.S. National Defense Strategy and in support of whole-of-government action. strengthening allies and partners to generate robust networks that can advance shared interests, reforming the Department to realize greater performance and affordability, and expanding the competitive space to create U.S. advantages and impose dilemmas on competitors. More specifically, a combat-credible, rapidly innovating Joint Force, suitably postured and executing creative, multi-domain operations – coupled with the access and complementary capabilities of a robust alliance and partnership network – will renew U.S. and allied military advantages in key potential warfights. Several representative actions discussed in the unclassified summary of the National Defense Strategy are furthering this effort. Building a More Lethal Force. Noting the scope and pace of our competitors’ ambitions and capabilities, the NDS outlines plans to invest in modernization of key U.S. capabilities including nuclear forces; space and cyberspace capabilities; C4ISR; missile defense; capabilities to strike diverse targets inside adversary air and missile defense networks; smaller, dispersed, resilient, and adaptive basing; and autonomous systems. The NDS also discusses investment in resilient and agile logistics related to this challenge. The Department is prioritizing prepositioned forward stocks and munitions, strategic mobility assets, partner and ally support, and non-commercially dependent distributed logistics and maintenance, in order to ensure logistics sustainment while under persistent multi-domain attack. Strengthening Alliances and Attracting New Partners. The NDS notes that mutually beneficial alliances and partnerships provide a “durable, asymmetric strategic advantage that no competitor can rival or match.” U.S. allies and partners specifically “provide access to critical regions, supporting a widespread basing and logistics system that underpins the Department’s global reach.” China’s attempts to gain veto authority over other countries’ decisions, and its coercion directed at U.S. allies and partners in particular, will thus likely threaten U.S. posture and access if not addressed. Accordingly, the NDS states the Department will work “by, with, and through our allies and partners to secure our interests and counteract this coercion.” Specifically, DoD is working to uphold our commitments while encouraging allies and partners to modernize their defense capabilities and contribute to collective security. DoD is also working to expand collaborative planning, prioritize requests for U.S. military equipment sales in conjunction with the State Department and Congress to deepen interoperability, and train to high-end combat missions in alliance, bilateral, and multilateral exercises. Reforming the Department for Greater Performance and Affordability. The NDS recognizes the challenges presented by rapid technological advancements in dual-use areas, and China’s blurring of the lines between civil and military goals. Accordingly, it discusses efforts to organize Department structures to promote innovation, protect key technologies, and to harness and protect the national security innovation base to maintain the Department’s technological advantage. DoD’s support to whole-of-government actions also contributes to this response. Importantly, the NDS also states that DoD will “support U.S. interagency approaches and work by, with, and through our allies and partners” to counter coercion and subversion by revisionist powers. 1) The National Security Strategy states that the United States faces growing political, economic, and military competition with China, and that this is a long-term challenge demanding sustained national attention, prompting a whole-of-government focus on this issue. The National Defense Strategy aligns with this strategic direction. 2) The United States government has outlined its Indo-Pacific Strategy, emphasizing a vision for a “free and open Indo-Pacific” that provides security, stability, and prosperity for all. Key aspects of this vision includes open access to seas and airways, the peaceful resolution of disputes, and the ability for nations to protect their sovereignty from coercion by other countries. The Department of State, in cooperation with other U.S. government agencies and partner countries, has taken several steps to promote market economics and private-sector finance, support good governance, and build partner capacity to ensure a peaceful and secure rules-based order. 3) The United States continues to fly, sail, and operate wherever international law allows. The Freedom of Navigation Program provides for operational assertions of navigation rights and freedoms, in conjunction with U.S. diplomatic representations, to further the recognition of the vital national need to protect maritime rights throughout the world. 4) The United States has taken action to confront China over its market-distorting policies and practices, forced technology transfers, failure to respect intellectual property, and cyber intrusions into U.S. commercial networks. The United States has encouraged China to respond by undertaking necessary reforms to end its unfair trade practices and honor its promises to open its markets. Regardless, U.S. actions will place the United States in the best position to defend itself from unfair trade practices and achieve greater fairness and reciprocity in the U.S. trade relationship with China. 5) The executive branch, in conjunction with Congress, has worked to update key foreign investment review and export control authorities to keep pace with rapid technological change and China’s ambitious technology transfer strategies. Other actions have addressed telecommunications procurement and licensing. These policies do not seek to cut off all trade and investment exchanges with strategic competitors but to maintain U.S. competitiveness and protect the U.S. national security innovation base via robust, national security-based best practices. Ultimately, this is a global challenge the United States is addressing in conjunction with ally and partner governments and industry. The Department will continue supporting these and other whole-of-government actions to address the implications of China’s expanding global access, and per the National Defense Strategy will continue to field a Joint Force that can compete, deter, and win in the increasingly complex security environment.